In an effort to diversify the blog content, I am introducing new series about other technologies than Cisco, that make the life of a network engineer easier. In this post we will see how to deploy ELK stack using docker-compose to analyse MySQL container database running under Rancher. If you find it overwhelming to combine all these technologies in a single lab, don’t be afraid and try them individually in small steps. Basic knowlege of Docker: running containers, docker-compose, swarm clustering and service deployment. Basic knowlege of mysql and mysql queries. Basic knowlege of ELK stack (Elasticsearch, Logstash and Kibana). Note: This lab uses temporary cloud resources, so all mentioned public IPs are not available anymore. Elasticsearch: a search and analytics engine. Logstash: performs data processing pipeline (input->parse(filter)->output) that ingests data from a multitude of sources simultaneously, transforms it, and then sends it to your favorite search and analytics engine. Kibana: allows to visualize Elasticsearch data. Rancher is a Docker cluster orchestrator. With rancher is is easier to manager cluster nodes, service deployment, upgrade and scheduling. All you have to do is start rancher container. That’s it! Rancher supports many cloud provider drivers. In our case, we will choose “Custom” deployment because I already have two scaleway machines. Connection to 51.15.239.154 3306 port [tcp/mysql] succeeded! mysql -h 51.15.239.154 -u root -p"passwd" -Bse "create database employees;"
mysql -h 51.15.239.154 -u root -p"passwd" -Bse "create database employees;" -u root -p"passwd" -Bse "show databases;"
mysql -h 51.15.239.154 -u root -p"passwd" "employees" < "employees.sql"
Connecting to www.java2s.com (www.java2s.com)|45.40.136.91|:80... connected. statement => "SELECT * FROM employees"
schedule => "* * * * *" jdbc_paging_enabled => "true"
For the sake of simplicity, no filter is configured, but in production, to optimize the data analysis and queries, you’ll need to structure the data using filters. You’re prompt to indicate the index pattern the data you’re looking for. Remember logstash configuration “index” => “fakemysql”. Enter the entire word or use a wildcard. statement => "SELECT" * FROM employees where Date > :sql_last_value order by Date"
MacVLAN allows to connect containers in separate docker networks to your VLAN infrastructure, so they act like being directly connected to your network. From the main interface, MacVLAN driver creates subinterfaces to handle 802.1q tags for each VLAN, and assign to them separate IP and MAC addresses. Because the main interface (with its own MAC) has to accept traffic toward subinterfaces (with their own MACs), Docker network driver MacVLAN requires Docker host interface to be in promiscuous mode. Knowing that, most cloud providers (aws, azure…) do not allow promiscuous mode, you’ll be deploying MACVLAN on your own premises. Requires the main Docker host intreface to function in promiscuous mode to accept traffic not destined to main interface MAC. To test and get hands on practice with Docker MACVLAN. It is easy to deploy complex topologies in GNS3 using a meriad of virtual appliances https://gns3.com/marketplace/appliances. Building a topology is as easy as dragging devices and drawing the connections betweeen them. It is better to have some basic practical knowledge of docker containers. 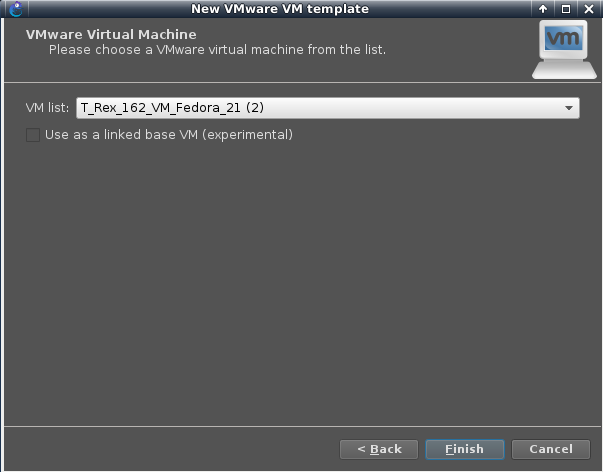 Two VMWare Virtual machines for docker nodes, imported into GNS3. Ansible container ajnouri/ansible used as SSH client to manage Docker nodes. In another post I’ll be showing how to use it to provision package installation to any device (ex: Docker instalaltion to VMWare nodes). Atually importing a container into GNS3 is very easy and intuitive, here is a video from David Bomball explaining the process. Create two VMWare Ubuntu xenial LTS servers to be used as Docker nodes, with 1Gig RAM and 2 interfaces. Install Docker min 1.12 (latest recommended). Here is the script if you want to automate the deployment of Docker, for example from an ansible container, like shown in this GNS3 container series (managing GNS3 appliances with Ansible). By default, VMWare interfaces will not function in promiscuous mode because a regular user will not have write access to /dev/vmnet* files. For each Docker node, connect the first interface to OpenVswitch1 trunk interface and the second interface to a VLAN interface 114. VLAN 114 is a common VLAN used to reach and manage all other devices. ajnouri/ansible container: the management endhost used to access Docker nodes thourgh SSH. In subsequent lab, I’ll be showing how top manage GNS3 devices from this Ansible container. Docker MACVLAN network allows to connect your containers to an existing network vlans seamlessly as they were directly connected to your VLAN infrstustructre. The network is deploying three isolated VLANs (id: 10, 20 and 30) and vlan id 114 able to communicate with all three VLANs through a router on a stick (Cisco IOSv 15.6T). MacVLAN generates subinterfaces (.) to process (tag/untag) traffic. The parent (main) interface will act as a trunk interface carrying all vlans from “children” interfaces, so the network switch interface linked to it should be a trunk port. In OVS, untagged ports acts as trunk. Openvswitch 2 connects the two management endhosts, Ansible container and Firefox browser container. For more information on how to configure advanced switching features with ovs, please refer to my gns3 blog post on gns3 community. This router is used to allow inter-vlan communications between VLAN114 and all other VLANs, deny communications between VLANs 10,20 and 30, and connect the entire topolgy to Internet using PAT (Port Address Translation ~ Linux MASQUERADING). Now you can scale your infrastructure by adding any numbe of new docker nodes. Let’s remediate to that by running simple apache containers from a custom image ajnouri/apache_ssl_container image (You can use other appropriate image with “bash/sh” running on the console) and connect them respectively to macvlan10, macvlan20 and macvlan30. The first time, docker will download the image, then any container from that image is created instantly. –restart=unless-stopped : if Docker host restart, containers are started & connected to their networks, except if they are intentionally stopped. Let’s inspect macvlan networks again for connected containers with "docker network inspect macvlan10"
Container c11 is connected to macvlan10 (10.0.0.0/24) and got dynamically an ip from that range. Now let’s do some connectivity checks inside container c11 (macvlan10) and see if it can reach its gateway (Router ona stick) outside docker host. PING 20.0.0.200 (20.0.0.200) 56(84) bytes of data. PING 30.0.0.200 (30.0.0.200) 56(84) bytes of data. PING gns3.com (104.20.168.3) 56(84) bytes of data. And that’s not all, it can even reach other containers, if you allow it of course. Cisco router used for that purpose, you can play with access control lists to implement the policy you want. The same steps are applied to Docker node 2. Interfaces are connected in the same way as node1: one interface to common vlan 114 and another trunk interface to create c21, c22 and C23 connected respectively to MacVLANs macvlan10, macvlan20 and macvlan30 (same as node1). Containers connected to the same network VLAN (from different docker nodes) talk to each other. One of the advantages of deploying VMware (or VirtualBox) machines inside GNS3, is the available rich networking infrastructure environment. No need to hassle yourself about interface types, vmnet or private? Shared or ad-hoc? In GNS3 it is as simple and intuitive as choosing a node interface and connect it to whatever other node interface. Nginx Docker containers for internal web servers. ab(Apache Benchmark) docker container for the client used for performence testing. gns3/webterm containers used as Firefox browser for client testing and F5 web management. ajnouri/nginx: nginx web server container. ajnouri/ab: Apache Benchmark container to generate client requests. F5 Big IP VE: F5 Load balancer Virtual Machine. The only virtual machine used in the lab is F5 Big-IP, all other devices are Docker containers. 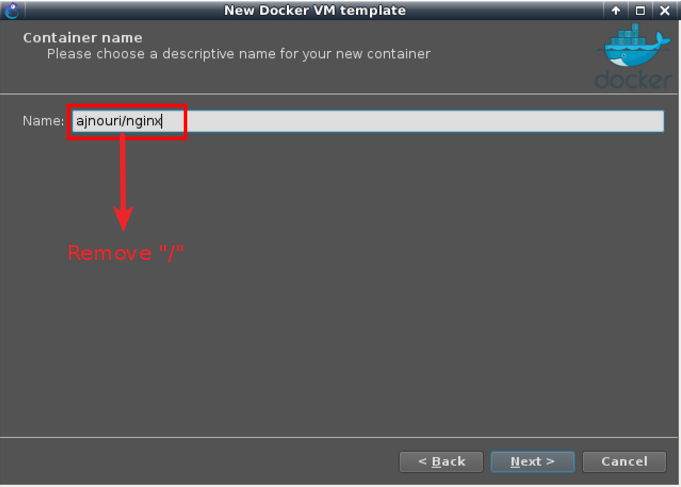 Create a new docker template in GNS3. Create new docker template: Edit > Preferences > Docker > Docker containers and then “New”. Choose “New image” option and type the Docker image in the format provided in “devices used” section <account/<repo>>, then choose a name (without the slash “/”). By default GNS3 derives a name in the same format as the Docker registry (<account>/repository) which can cause an error in some earlier versions. In the latest GNS3 versions, the slash “/” is removed from the derived name. – Repeat the same procedure for the image ajnouri/nginx. You’ll have to request a registration key for the trial version that you’ll receive by email. Open the ova file in VMWare workstation. – To register the trial version, bridge the first interface to your network connected to Internet. – Type “config” to access the text user interface. – Choose “No” to configure a static IP address, a mask and a default gateway in the same subnet of the bridged network. Or “Yes” if you have a dhcp server and want to get a dynamic IP. – Check the interface IP. 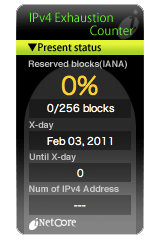 – Ping an Internet host ex: gns3.com to verify the connectivity and name resolution. – Browse Big-IP interface IP and accept the certificate. Put the key you received by email in the Base Registration Key field and push “Next”, wait a couple of seconds for activation and you are good to go. Now you can shutdown F5 VM. Now we can build our topology using BIG-IP VM and the Docker images installed. Below, is an example of topology in which we will import F5 VM and put some containers..
Notice the BIG-IP VM interface e0, the one priorly bridged to host network, is now connected to a browser container for management. I attached the host interface “tap0” to the management switch because, for some reasons, without it, arp doesn’t work on that segment. – Openvswitch containers don’t need to be configured, it acts like a single vlan. To manage the load balancer from the webterm-2, open the console to the container, this will open a Firefox from the container . Browse the VM management IP https://192.168.0.151 and exception for the certificate and log in with F5 BigIP default credentials admin/admin. – Now you will have to configure internal (real servers) and external (client side) vlans and associated interfaces and self IPs. Now make sure you have successful connectivity from each container to the corresponding Big-IP interface. The interface connected to your host network will get ip parameters (address, gw and dns) from your dhcp server. – Create a pool of web servers “Pool0” with “RoundRobin” as algorithm and http as protocol to monitor the members. If everything is ok, you’ll see the php page showing the real server ip used, the client ip and the dns name used by the client. Everytime you refresh the page, you’ll see a different server IP used. with Apache Benchmark container ajnouri/ab, we can generate client request to the load balancer virtual server by its hostname (ajnouri.local). In the upcoming part-2, the 3 web server containers are replaced with a single container in which we can spawn as many servers as we want (Docker-in-Docker) as well as test a custom python client script container that generates http traffic from spoofed IP addresses as opposed to a container (Apache Benchmark) that generate traffic from a single source IP. Goal: Deploy TRex, a realistic Cisco traffic generator, to test devices in GNS3. TRex traffic generator is a tool designed to benchmark platforms using realistic traffic. One of the tools through which TRex can be learned and tested is a virtual machine instance, fully simulating TRex without the need for any additional hardware. 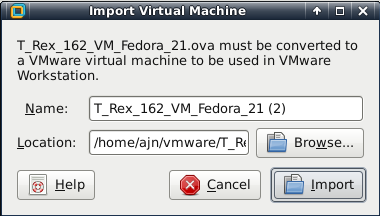 The TRex Virtual Machine is based on Oracle’s Virtual Box freeware. It is designed to enable TRex newbies to explore this tool without any special resources. Insert the a device to test, DUT (Device Under Test), in our case it is a Cisco IOU router and build the following topology, in which TRex will play the role of the client and the server for the generated traffic. Because TRex doesn’t implement ARP, we have to manually indicate the router MAC addresses of the directly connected interfaces. We also need to set our router under test with the MAC addersses used by TRex for the traffic. e0/1 and e0/2 IP addresses are configured with 192.168.10.2 and 192.168.20.2. In fact it doesn’t matter for TRex because we have routes to forward traffic out the appropriate interfaces to reach TRex interfaces. So let’s configure our router to route traffic destined to previous ranges out the appropriate interfaces. More updated content about GNS3 and natively integrated Docker. I would like to share with you DockerVPC, a bash script that helps running containers for use within GNS3 as rich virtual end-host instead of VPCS. I am using it to avoid dealing directly with docker commands and container id’s each time I would like to rapidly deploy some disposable end-host containers inside GNS3. For now it runs only on linux platforms. and tested on Ubuntu, RedHat and OpenSUSE. Using DockerVPC doesn’t require knowledge of Docker containers, still I encourage you to take a look at this short introduction. By the way, VIRL in its recent updates introduced lxc containers to simulate Ubuntu server (multiprocess environment) as well as single process container for iperf. The issue is that, there is no such tool as pipework for windows or Mac to set additional interfaces. Ostinato / D-ITG / Iperf. 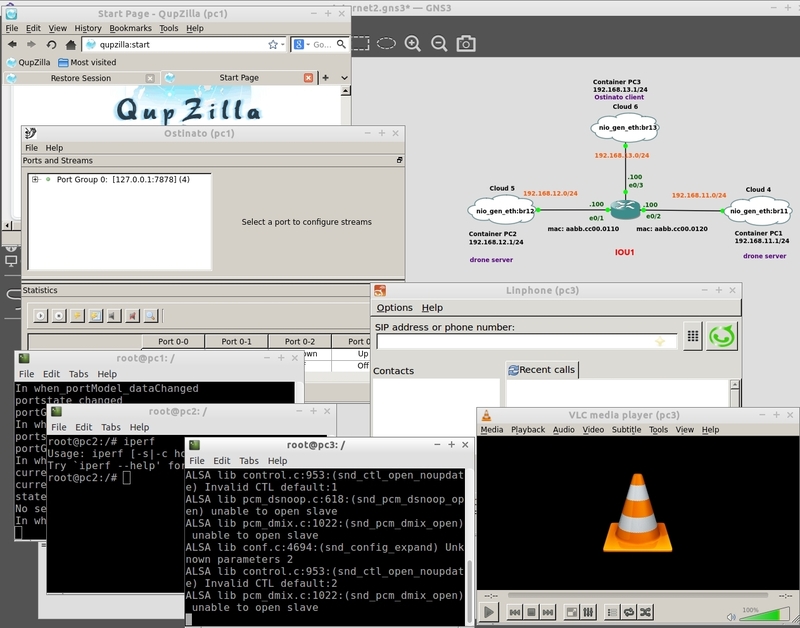 Qupzilla browser + java & html5 plugins / links. vSFTPd server + ftp client. And many other tools: inetutils-traceroute, iputils-tracepath, mtr.. Which makes it almost a full-fledged Linux host. By default containers are connected to the host through docker0 bridge, this tool allows you to connect the running containers to GNS3 through additional bridge interfaces so you can bind them to cloud elements in your GNS3 topology. In other words, containers run independently of GNS3. More on that in Simple lab. Additionally, this script allows you to separately manage additional container images like cacti server or a 16-port (host bridges) OpenVSwitch. You will need: git, docker, pipework and lxterminal. lxterminal is not required anymore, the script will detect the used terminal and use it to open interactive terminal access to containers. 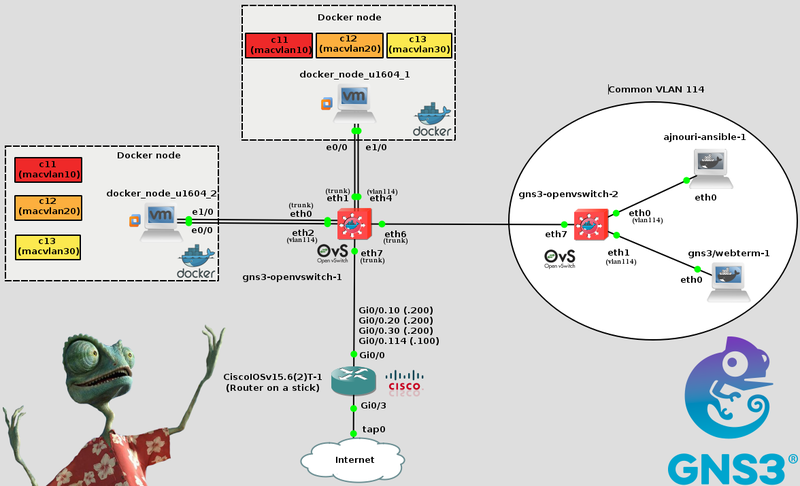 Here are some examples (on my GNS3 community blog) of how to use DockerVPC container with GNS3. Once the installation is done and the images pulled, creating virtual end-hosts is a matter of seconds. Explains how a containers talk to GNS3. Build 2 end hosts communicating through GNS3 cisco router. Just enable sshd on your container and you can connect SSH from one container to another. Apache/PHP + Qupzilla browser + java & html5 plugins / links. Just enable Apache and connect from another container using a browser. Generate thousands of routes into your GNS3 topology from any DockerVPC container. deploy peer-to-peer VoIP calls using Linphone, sipp or pjsua and test your network QoS implementations. Deploy multicast/unicast server members and check your device multicast configuration with real traffic. deploy and manage a real FTP application in your GNS3 topologies. You can use Ansible to run the same command on multiple containers. Originally, docker containers are not meant to run GUI applications, this is a workaround brought by docker community (by mounting docker host X11 and sound devices), so we must expect some issues with that. By default, Docker networking uses a single interface bridged to docker0. So, using additional container interfaces will bring additional complexity to networking configuration. DockerVPC is relying on pipework, an external script for advanced networking. Though this is an advantage comparing to the limited (for now) integrated networking functionalities, it brings new challenges. Bridge interfaces created with pipework do not persist after stopping the container or docker host reboot, so make sure to reconfigure your container networking parameters after you restart a stopped container. This brings us to the conclusion that using Docker containers this way, it is NOT MEANT FOR PRODUCTION !!! The purpose of DockerVPC is to hopefully give GNS3 users more flexibility with end-host simulation.